In this article you will discover the full and powerful Osha Root Benefits for your health. Osha root whose botanical name is “Ligusticum porteri,” is a perennial herbal plant. That is mainly found in various parts of northern Mexico as well as in the Rocky Mountains of North America. This herb is mainly a mountain plant. The natural herbal plant is a member of the “Umbelliferae” family just like the Dill and Parsley herbs. Osha Root, which is considered to be sacred by a majority of native North American residents is also known by other names including “Indian Parsley, Colorado cough root, Chuchupate, mountain lovage, Porter’s lovage, nipo, bear medicine and bear root. The natural herb obtained its name “loveroot or bear medicine” as it was increasingly observed that bears were easily affected by its potent lovage properties after chewing the plant for its proven health benefits. This lovage effect made them to nuzzle each other passionately. The root is the only part of the herb used medicinally. This is because the essential plant part contains various potent essential oils, lactone glycosides, volatile oils, terpenes, ferulic acid, phytosterols, and saponins. However, both the plant’s seeds and leaves can also be used for culinary purposes. Despite having all these beneficial compounds, the Osha root is not popularly known for its health benefits. This is because there is little scientific research that has been carried out on the herb. 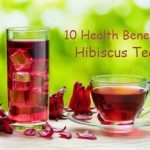 Below are the common health benefits that you can receive after using the herbal remedy. Osha root tea has been scientifically proven to be an effective natural remedy, especially for alleviating various digestive related issues. You can drink the potent herbal infusion if you wish to treat indigestion, gastrointestinal discomfort, vomiting, stomach upset or nausea. Osha root, just like most other bitter herbs can also be consumed to not only soothe the digestive tract but also to stimulate appetite. This amazing herb was widely used by native Americans, particularly for its potent ability to alleviate stomach upset and indigestion. Osha root is also gentle to the stomach as it can be taken to relieve stomach pain associated with ulcers as well as in soothing painful cramps. Osha can easily be used as a reliable replacement for popularly prescribed pharmaceutical painkillers. The herbal remedy which also acts as a mild anesthetic can be applied on the affected area as it provides a natural numbing effect. The natural painkiller has been found to be particularly effective in relieving headaches, body aches, toothaches, and painful menstruation. Ligusticum porteri can be steeped in ethanol for a period of about one month to provide an albeit pungent yet highly effective tincture that can be used to treat sore muscles. Osha root extracts can also be combined with alcohol to create a potent topical remedy for all types of body pains. The natural herbal remedy has potent anti-venom properties that provide it with the incredible ability to nullify, mollify and even alter a wide variety of highly poisonous substances. 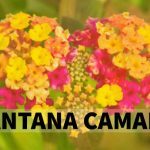 This makes the herbal plant a nice treatment option for Hymenoptera (inspect poison, especially that of ants, wasps, and bees), spiders and snakes. However, it is crucial to ask for the help of a qualified doctor if the effects of the poisonous substance only tend to worsen instead of becoming better. Osha root can be taken to treat fevers, especially those that never seem to go away. This is mainly attributed to the natural herbal remedy’s amazing ability to significantly elevate body temperatures and increase sweating hence getting rid of potentially harmful toxic substances through the skin pores. Osha herbal infusion can also be taken to prevent the gradual development of a full-blown flu or cold virus. 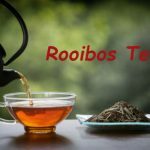 Taking either a decoction of the natural herbal remedy or chewing its root directly accelerates the body’s perspiration process hence boosting overall body’s immune function. The natural herbal plant has potent antifungal, antiviral, anti-inflammatory and anti-bacterial properties that can all be used to alleviate various respiratory disorders, including flu, colds, coughs and tonsillitis, just to name a few. Its amazing properties are so powerful that the herbal remedy is often prescribed whenever earlier signals of common flu or cold are detected. When sucked as a lozenge or when directly chewed, the natural herbal remedy can be used to cure a stubborn sore throat or to induce a productive cough. Osha root’s highly beneficial properties make it a powerful cough remedy, especially when mixed with honey. The herb has also been scientifically proven to increase blood circulation, especially to the lungs. By doing so, Osha root ends up increasing dilation, which is rampant during blood vessel constriction thus making it a potent support mechanism for allergies, asthma, pneumonia and emphysema. As seen above Osha root’s potent antiviral and anti-bacterial properties make it a powerful natural remedy for alleviating common infections. The herb’s root can be crushed into powder and topically applied on any minor skin wound to prevent any potential infection thus accelerating the healing process. When combined with Echinacea, the herbal remedy becomes even more potent hence can be used to easily treat both upper and lower respiratory disorders, and any other viral infections. “Z-ligustilide(1) ” is an active Osha root compound that can be used to combat a wide variety of yeast and bacterial infections. The compound is so effective that it has been scientifically proven to treat herpes, which is a common sexually transmitted infection. 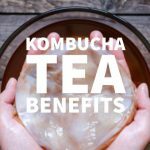 Osha also has the impressive ability to boost the immune system, thus enhancing the body’s ability to prevent diseases and a wide range of infections. 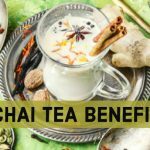 There are various herbal based online sites that provide you with Osha root tea recipes. However, in this article, you are only going to be shown how to make the standard potent Osha root infusion. Kindly follow the simple step-by-step instructions provided below to prepare the amazing herbal remedy. Put a handful pieces of the dried Osha root to the boiling container. Add several cups of drinking water. Heat the mixture until it starts to boil. Reduce the heat and allow the mixture to simmer for more than 60 minutes. Kindly note that the decoction is likely to become even more potent if it is allowed to simmer for a relatively long time. Remove your herbal remedy when its colour has changed to translucent, grey-blown. Serve the herbal infusion as you desire. Osha root, although considered to be relatively safe for all, should not be used by pregnant women, nursing mothers or small children especially those under the age of 6. This is because the herbal remedy may contain high oxytocin levels, which may cause various health issues both for the unborn and young children. Pregnant women are advised to stay away from the natural herb as it may cause uterine contractions thus resulting in miscarriage. 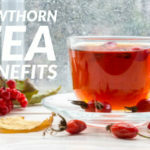 Drinking more than 6 cups of the herbal infusion each day is likely to result in diarrhea, loss of appetite, insomnia, vomiting, dizziness, and headache. Osha root is an amazing herbal plant with many health benefits. 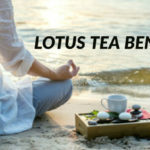 Take advantage of the various Osha root tea recipes provided over the internet to prepare the amazing herbal tincture that is guaranteed to improve your overall health. You can also purchase natural herbal supplements of the plant from various leading medical stores. We hope you found ” Osha Root Benefits ” informative. Do you have a reference for oxytocin being in Osha? I am having trouble finding support for the claim in the scientific literature (even though I can find the claim being repeated many places online) and I am under the impression that oxytocin is not orally active due to being a peptide. I can’t find any scientific literature supporting oxytocin being in Osha root. It makes it more difficult to find the answer because oxytocin goes by a number of different names. Also Oxytocin’s half life in the blood is apparently 3 to 6 minutes by injection its also not orally active. Thanks for your interesting question, let me know if you find the answer.